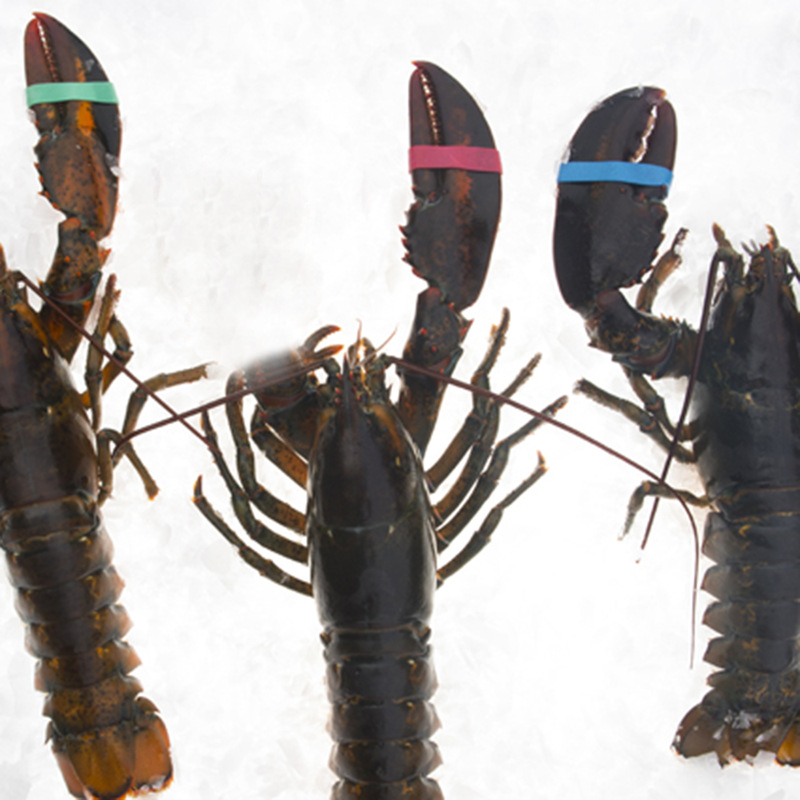 American lobsters, also called cold water or Maine lobsters, have two strong claws distinguishing them from their warm water cousins, which do not have claws. Their meat is mild, sweet and firm. Lobster shell color varies but all turn bright red when cooked. The meat turns white with red streaks. Most of the meat is found in the tail but smaller amounts are available in the claws, knuckles, body and legs. American lobster are found in the northwestern Atlantic Ocean from Labrador south to North Carolina. Most U.S. harvest occurs in Maine and Massachusetts. The majority of the U.S. American lobster fishery is sustainable and well managed. The Gulf of Maine and Georges Bank lobster stocks are at healthy levels. The Southern New England lobster stock is overfished and but no longer experiencing overfishing. The Atlantic States Marine Fisheries Commission has implemented a rebuilding plan but the stock is not rebuilding as expected, likely due to environmental conditions. Fishery management regulations are adequate in most areas, but annual catch limits could enhance and better maintain sustainability. Lobsters are caught with rectangular wire traps, or pots. Bycatch in lobster pots and interaction with the surrounding habitat is of minimal concern. The most substantial ecosystem impact is the entanglement of protected species, such as endangered right whales, in ropes connecting lobster pots and buoys. Regulations to reduce or eliminate this interaction have been implemented in the U.S. In Canada, the lobster fishery is regulated with an area management system. Regulations and stock status can vary a great deal between areas and more and better data are needed. One area, the Eastern Canada Offshore Lobster Fishery, (Area 41, southeast of Nova Scotia), has been certified as sustainable and well managed by the Marine Stewardship Council. In this area, data are more robust and regulations include an annual catch limit. © 2014 Profish. All rights reserved.